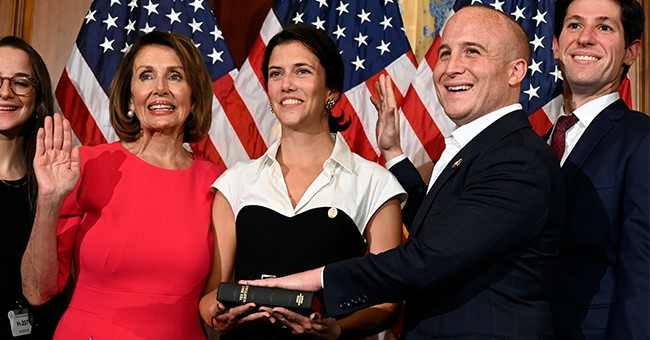 Freshman Rep. Max Rose (D-NY) recently apologized to his Jewish constituents for his colleague Ilhan Omar's (D-MN) "anti-Semitic tropes." Since assuming office in January, Omar has made a point of sharing her anti-Israel opinions and accusing lawmakers who support Israel of being in it for "the benjamins" or being guilty of dual loyalty. Her attempts at apology have lacked sincerity. Rose should be commended for challenging Omar. Yet, on a related note, he did vote for that watered down resolution introduced by House Democrats earlier this month. The anti-hate resolution was created with the intention to condemn anti-Semitism, but it was expanded to include more forms of bigotry after Omar complained about being singled out. That, Anti-Defamation League (ADL) CEO Jonathan Greenblatt noted, was not the point of the resolution. He hates to see the issue be "all lives mattered." President Trump said the vote proved that the Democrats are now officially the "anti-Israel party." "They've become an anti-Israel party, they have become an anti-Jewish party and that's too bad."